Jo Yean Kok in Business & Economics on 17 November, 2018. The scenic view of the River Wear flowing pass the Durham Castle and Cathedral is also the reason why Durham is a renowned tourist destination. One might enjoy sipping a warm cup of tea in Flat White and another might fancy a drink in Swans while enjoying the cool breeze and the beautiful view of the River Wear. Today, the variety of options available for potential customers are unbelievable and there are new businesses popping up regularly in order to cater for the increase in demand of the customers. However, the recent closure of several businesses on the High Street such as Marks & Spencer and Pret a Manger indicates that the business prospects of these stores on the High Street are strongly challenged by online retailing, lack of customers during term holidays and income inequality in Durham. This leads to a high turnover rate of stores on the High Street as businesses fail to sustain due to these challenges. 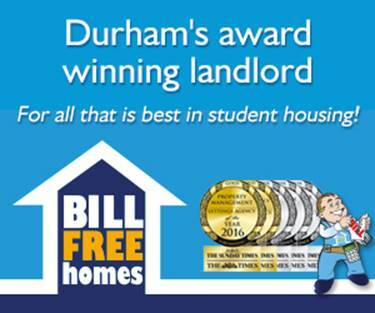 The majority of the potential customers in Durham City Centre comprises of the Durham University students who only reside in Durham during the term time. This shows that the demand for goods and services are particularly low over the Christmas, Easter and summer holidays. For example, Waterstones’ main source of revenue is from the sales of textbooks which dramatically decreases during the Christmas holidays due to the lack of students in Durham. As a result, businesses will have to generate sufficient revenue during the rest of the months in order to sustain the fall in revenue during the holidays. This is because even if the businesses can reduce the expenditure when business is slow by cutting variable cost, there is still fixed cost incurred and which have to be paid monthly. Businesses on the High Street are also challenged by the existence of online retailing. With online retailing, shopping can now be done right in your own room. Amazon Prime allows consumers to purchase groceries online and have them delivered within a few hours. This creates pressure on local supermarkets such as Tesco Express and Sainsbury’s on the High Street as local stores are struggling to compete with the convenience of online retailing. Further, the significant income inequality in Durham makes it challenging for stores to decide on the type of goods and services that they should provide to the customers. For instance, there are still homeless people on the streets at night and there are wealthy consumers who enjoy dining in luxurious restaurants. Scorpio shoes, a shoe retailer on High Street caters for the wealthier customers whereas Next caters for the middle-class residents. It is difficult to start a business that attracts consumers from various financial class. Income inequality is one of the many reasons that led to the closure of Marks & Spencer on the High Street as it is considered as an upmarket department store. The majority of the residents, especially students, are not able to afford the luxurious goods available within Marks & Spencer. The diversity of consumers and the fast-paced economic activity on the High Street makes it a favourable location for entrepreneurs to start a business. Not only so, Durham is indeed a beautiful city with impressive values and this is the reason to why it will always be a part of each and every one of us.